Released: July 9, 2019. Available for pre-order now on Indiebound, Barnes and Noble, and Amazon. Overly medicating minors, police brutality, electro-convulsive therapy, involuntary hospitalization--not to mention the traumas that lead to intense altered states and suicidal thoughts: these are the struggles of those who are labeled mentally ill. Much has been written about the problems of the mental health care system, but in this book, we give voice to those who have endured psychiatric “care” themselves. But these stories are not without hope, and many speak to radical healing in the form of mutual aid, peer support, spirituality, art, and story itself. As Robert Whitaker suggests in his foreword to our book, the current psychiatric system believes in the “magic bullets” of pharmacological drugs and dehumanizing diagnoses. There are no magic bullets, no single story. 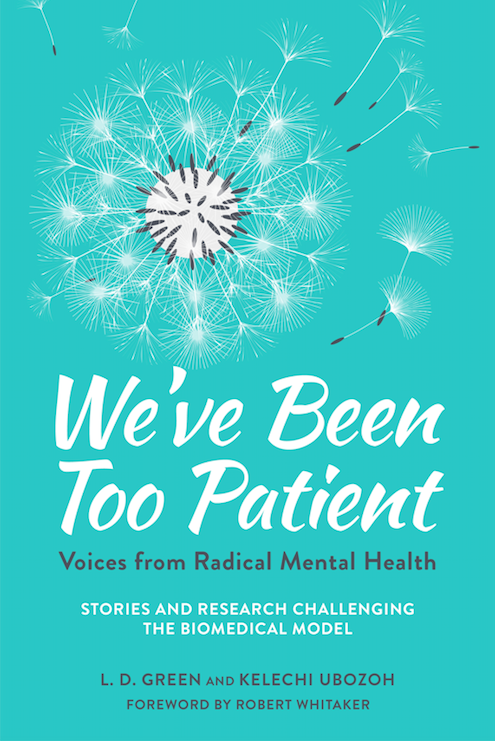 From the Mad Pride movement to the Consumer Movement to trauma-informed care, mental health care stands to be radically revised by this multitude of voices.